Directory of 18 Arizona Deer hunting lodges, guides and outfitters in Arizona. Agua Dulce Outfitters is a small operation taking eight to nine desert mule deer hunters and three to four desert sheep hunters per season. Coues deer are also available. Having only two to three hunters in camp allows us to focus on the hunting and not just on the logistics. We offer the finest in desert mule deer and coues deer hunting in Old Mexico. Our hunts take place on large private land leases in desert regions in northern Sonora using primarily the old traditional tracking and hunting methods. Spot and stalk and high racking are also available. Probably the most difficult to hunt deer species in North America, the coues deer in the desert southwest is on the bucket list of many big game hunters. A 100" buck is considered a deer of a lifetime and good respectable bucks are in the 80"+ range. A coues deer hunt is Arizona's premier big game hunt. Our southern Arizona desert grows giant desert mule deer. The December and January archery rut hunts are an extremely fun hunt. Chasing deer in excess of 180" is quite common. The Kaibab area produces some of the largest trophy bucks in the world. Our clients have taken ten bucks that gross over 200″. The largest non-typical buck grossed 231 B&C and the best typical buck scored 211 B&C. The Kaibab tags are on a permit draw basis. Arizona now has a bonus point system for deer. Hunt with Arizona’s best guide for Kaibab mule deer and tag a monster! Hunters have taken twelve Boone & Crockett Coues deer over the years, two of which scored in the top 20 in Pope and Young. You can hunt Coues deer with a rifle or a bow. The entire month of January is open for Coues Deer or Mule Deer Archery. The tags for this are purchased on an over the counter basis. The rifle tags are on a permit draw system with the bonus point system. We also offer hunting packages for Arizona Mule and Coues Whitetailed Deer. We often hunt mule deer from the middle of the State southward to the Mexican border. The desert sub-species lives in the southern portions of Arizona. Southern Arizona mule deer bucks do not typically have any record book potential, but they can offer a unique desert hunting experience. A typical mature desert mule deer buck might have a rack sporting an 18-25 inch inside spread and 3 to 5 points per side. The largest bucks are seen during the January rut period when it is archery-only season. OUR PASSION FOR MULE DEER HUNTING IS MULTI-GENERATIONAL. ARIZONA MULE DEER ARE SOME OF THE LARGEST IN THE WORLD & WE HAVE DEDICATED OUR LIVES TO LEARNING THEIR PATTERNS AND TERRITORIES. WITH A LIFE TIME OF MULE DEER HUNTING EXPERIENCE, WE HAVE BECOME EXTREMELY FAMILIAR WITH THE UNITS THAT WE SPECIALIZE IN HUNTING. OUR SUCCESS RATES REMAIN HIGH DUE TO OUR DILLIGENCE AND UNDERSTANDING OF THE ANIMAL, DESPITE DROUGHT AND SHIFTS IN MIGRATION, POPULATION, AND WATERING OPPORTUNITIES. One of the most sought after big game trophies in Arizona is the mule deer. We have two species in AZ, the Rocky Mountain and the desert. At AWO, we hunt in the best mule deer units in northern Arizona, and have years and years of experience in pursuing what is acknowledged as the hardest big game trophy to bag. 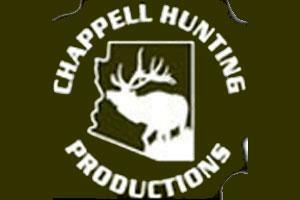 Chappell Guide Service offers quality hunts for Arizona's Mule Deer, Coues Deer, & Antelope. We treat your tag as if it were our own personal tag! Our hunts are always very personalized, and planned and tailored toward fitting your needs! The goal is always a 100% exceptional experience in every aspect with our hunters! We offer hunts in specific units where we specialize and know where the Trophy animals hide out. This knowledge is acquired by our guides that live in or very near your hunting unit, and have many years of experience. A unique and challenging species to hunt Coues Whitetail or Mule Deer are an addicting animal to pursue. We specialize in Spot-and-Stalk Arizona Coues Deer Hunting. CHASE'N THE KING's Coues or Mule Deer Guides hunt throughout the public lands of Central and Southern Arizona. One of the premier mule deer tags in the world. This hunt is scheduled during the peak of the rut. This hunt can be booked as 7 or 10 days. With your consent, your hunt may be filmed for the Best of the West TV show. Deer densities vary from year to year in each unit based on weather and the migration. At the end of the day, no other public land hunt in the U.S. offers a better chance at a 200 inch buck. Please contact us right away upon drawing any of these units. We are extremely passionate about hunting Coues deer and we are regarded by our many of our clients and peers as the premier Coues deer outfitter in the world. Arizona has some of the best deer hunting in the world and is considered a top producer for record class bucks. We specialize in deer hunts on Arizona's famous North Kaibab but we guide in any unit in the state. If you are looking to hire a guide to harvest a buck of a lifetime contact High Point Outfitters. Mule deer has always been the prize game of choice for most hunters coming to the Navajo Nation. Quality bucks with awesome genetic traits is what the Navajo is known for. Your shot at harvesting a truly magnificent mule deer buck is highly possible on any of our hunts. Hunting the Navajo is as challenging as it can get, hunt Navajo mule deer. The Mule Deer:(Odocoileus hemionus) is a deer indigenous to western North America; it is named for its ears, which are large like those of a mule. The West's most iconic big game species is probably the most fun animal to spot and stalk especially here in the sonoran desert during the rut. Coues Deer:"The Grey Ghost" as it is often referred to is known for being able to vanish from view in the smallest amount of cover. Many people consider Coues deer to be one of the most challenging big game animal to hunt. Some even refer to hunting Coues deer as the "poor man's sheep hunt" because of the harsh terrain involved. Many hunters have exclaimed that the Coues deer to be "the most difficult of all deer to kill" due to its extreme wariness and the inhospitable habitat they live in. I am sure most of you have heard about the huge fires in Arizona lpast summer. 550,000 acres were burned. We hate to see that happen , but what fantastic hunting this area is going to be. The forest service seeded the entire burn and with the late summer rains the feed is waist high and i have seen such incredible new growth. With this new feed , this area will be some of the best deer and elk habitait in the USA. We are going to take some huge bucks out of this area and the best part my hunting lodge sits right in the niddle of it! Hunters that choose to hunt Coues Deer in Arizona are in for a real treat. Don't be fooled just because you are hunting Coues Deer in the states, we have some awesome ranches that consistently produce trophy Coues Deer. Our firearms success rate On Coues Deer is 100% with most animals scoring 95 inches or better. Hunters can expect to see four to eight Coues bucks a day. While hunting with Ward's Outfitters, you will have the opportunity to hunt some of the best Mule deer habitat available in both Arizona and Mexico. Those who choose to hunt in Mexico, be prepared to have the hunt of a life time! You will be hunting on ranches that are extremely well managed. The ranches produce bucks that will exceed 30 inches and score over the 190 inch class. Hunters can expect to see three to five bucks a day, with many scoring over 180 inches.